Continuous improvement is an on-going effort to improve products, processes, or services by reducing waste or increasing quality. This continuous effort drives a competitive advantage for organisations that get it right. Today’s companies live in a world of continual information flow, global competition, and technological disruption. Endless developments in mobility, social media and cyber trends are impacting lifestyles and expectations in the workplace - combined, these point towards an increase in competition and new ways of being productive. As a result, the best companies strive to instil a workplace culture of continuous improvement, requiring businesses to actively reflect on their processes and enact change to prepare for the future. Continuous improvement is based on the idea that you never rest on your laurels, even though your business is doing well. Companies and individual employees need to be continually thinking about ways to improve, how to deliver better products, creating products targeted to customer needs, and filling those needs quickly or more conveniently. It involves looking at where you are today, setting a goal and doing what needs to be done to reach that goal. Once that goal is met, you start again, finding ways to improve further. It doesn’t matter what kind of industry or business you’re in — a continuous improvement approach is necessary to keep ahead of the game. As many companies enter 2019 in full-blown transformation mode, the value of leadership lies within the outcomes of reinventing the ways teams think, act and innovate. Leaders must become change agents and must teach their teams to do the same to create and sustain the required momentum to succeed. Do you have the skills needed to lead your teams through change and to instil an ethos of continual improvement in your organisation? Why do businesses need to continually improve and embrace change? Companies must have the ability to react to change. These changes may come from advancements in technology, an upstart competitor or a new regulation affecting one aspect of your organisation’s business activity. Whatever the source, changes demand a quick response in order for your company to remain competitive. Companies can't respond to a need for change if their focus is predominantly inward. Successful companies have a culture that focuses on opportunity. In times gone by, it was often possible for companies to “rest on their laurels” and maintain the status quo with their products and services because people trusted their brands and products and knew what they were getting. Dynamics are Changing: The old walls around products and services have been torn down. For example, mobile apps like Uber, have turned the taxi industry upside down. Home delivery is changing the way we buy everyday products. This means traditional business models need to evolve. It’s a Global Marketplace: You not only have to be concerned about local competition but also with foreign competition. More and more borders are coming down and if you don’t watch what’s going on elsewhere in the world and prepare for it, you won’t be ready to deal with it when it does arrive. Information is Everywhere: Consumers are connected 24/7 these days. They have access to information at their fingertips. Whereas previously a product, service or marketing plan was designed for longevity, nowadays you need to be ready to react quickly to shifts and trends in the market. There’s More Competition Than Ever: You aren’t the only ones offering a certain product, service, or feature. When there’s limited competition, you can more easily defend your corner of the market, but in today’s competitive climate, you don’t get a moment’s rest. A company will undergo change for many other reasons — some will merge to become bigger and more stable, to remain competitive, to build a better brand or simply to survive. But how they handle change is critical to an organisation's success, and it can sometimes be the tipping point between that and failure. Successful companies lead change by focusing not only on managing the current business model, but also on societal and technological changes external to the company, and then responding quickly to the new opportunities these external changes allow. How does continual improvement benefit organisations needing to change? All companies face the challenge of making their business processes function more smoothly and efficiently. Inefficient processes waste valuable time and money, but are often difficult to identify and hard to change. Continuous improvement is an on-going, long-term approach to improve processes, products and services. In contrast to change management, continuous improvement occurs gradually and aims to make small incremental changes over time. However it is important to note that continuous improvement projects can also become part of a larger change management initiative. The real success of an improvement initiative comes when continuous improvement becomes business as usual. As this is an on-going and constantly evolving process, it is important to keep re-visiting the changes you have made to see if they can be improved further or if there are any factors that might have an impact on the changes you have made in the long-term. The direct benefits of continuous improvements are often easy to predict. You can calculate or estimate cost and time savings even before you implement the changes. Better Acceptance of Change and New Ideas: When your organisation is used to accepting the status quo, new projects and opportunities can be seen in a negative light. With a continuous improvement strategy deployed, your teams will get used to and appreciate working with the notion that change is positive. The goal of continuous improvement is to make every aspect of what you’re doing better, easier, faster, cheaper and more profitable to the business. What impact does this have on your teams? Research by Deloitte says 70% of large-scale change initiatives fail to meet their goals – employees when faced with too many changes develop a “change fatigue” of sorts, which makes new waves of improvement seem tiresome. When you are pursuing change initiatives, while your data-driven best practices, economics and profitability are all factored in, evaluating the psychological principles of change is just as - if not more - critical. The key is to manage change in such a way that your teams view this as an opportunity, not as a threat. You must put some tactics in place to manage these times within your organisation so everything flows smoothly, and results in a positive outcome for your staff and your business. 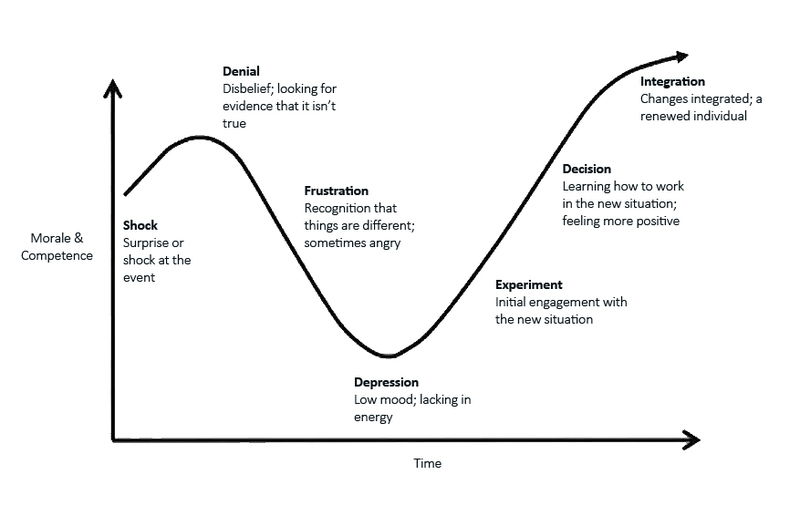 The Change Curve model describes four stages most people go through as they adjust to change. When a change is first introduced, people's initial reaction may be shock or denial, as they react to the challenge to the status quo. Once the reality of the change starts to hit, people tend to react negatively. They may fear the impact, feel angry and actively resist or protest against the changes. Some will wrongly fear the negative consequences of change. Others will correctly identify real threats to their position. As a result, the organisation experiences disruption, which, if not carefully managed, can quickly spiral into chaos. For as long as people resist the change and remain at this stage of the Change Curve, the change will be unsuccessful (at least for the people who react in this way). This is a stressful and unpleasant stage. For everyone, it is much healthier to move to the next stage, where pessimism and resistance give way to some optimism and acceptance. People stop focusing on what they have lost. They start to let go, and accept the changes. They begin testing and exploring what the changes mean, and so learn the reality of what's good and not so good, and how they must adapt. If managed well they will reach the final stage where they not only accept the changes but also start to embrace them - they rebuild their ways of working. Only when people get to this stage can the organisation really start to reap the benefits of change. The more your staff understand and accept the need for business change, the more positively they'll respond to the change process. Your role as a leader is to help them transition through the stages of change. Do you know how to help your staff to embrace change? Overcoming resistance to changes is often one of the biggest challenges for continuous improvement practitioners and leaders. We have all encountered resistance to change. It happens at all levels of an organisation and needs to be managed. Leadership demands fluidity, which requires the willingness to recognise the need for change, and finally, the ability to lead change. Change means people lose something. Through the change process, your staff will lose familiar processes and elements of their role that give them confidence and security. Fostering their understanding and involvement will help them work positively and purposefully on change tasks. To successfully manage change is more than just knowing what tools and techniques to use. Soft skills are critical, such as understanding why people will resist change and how to help them through the Change Curve, how to involve staff in the change process, how and when to communicate change and how to support team members throughout the process. The most successful change programmes in history have always been driven by clear, concise and value-added messages. When you start communicating your continuous improvement strategy to your teams and employees, make sure you focus on the benefits. Some may assume it simply means more work. They need to know that continuous improvement isn’t in addition to what they’re doing today, but rather an integral part of it. It’s a new way of looking at their old way of working. The goal of continuous improvement is to make every aspect of what they’re doing better, easier, faster, cheaper and more profitable to the business. It is also important that all employees are steered toward a growth mindset. They should know that change is an opportunity. Understanding the argument for change will help your staff stay focused on what needs to be done. Clarity eliminates the guesswork and makes change management less about dealing with potential adversity and more about seeing and seizing the opportunities that are right in front of you. When teams don’t have clarity of the issues, they complicate matters by making false assumptions, and quickly lose sight of the opportunities at hand. Teams learn how to embrace change when leaders take the time to clarify the issues at hand. 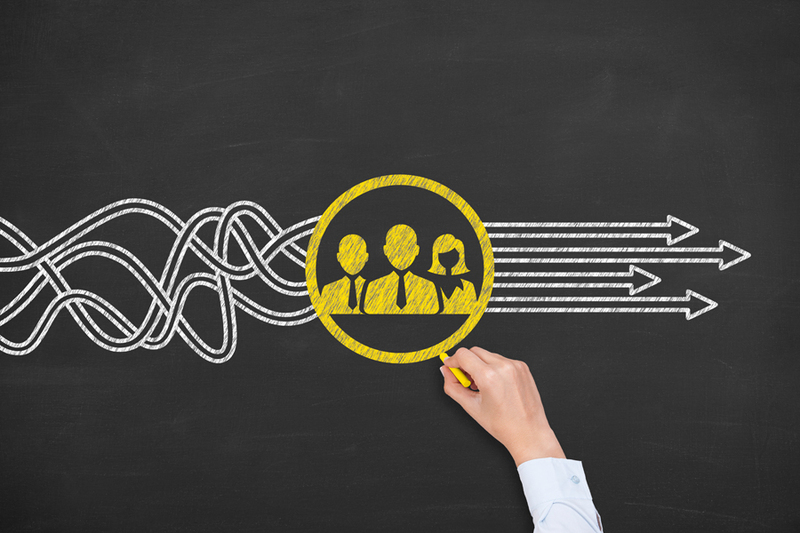 This requires leaders to make sure their teams understand the changes they are faced with – and what they potentially mean to the organisation, its supply chain, and its clients. GBS Corporate Training offers a range of Chartered Quality Institute (CQI) accredited Practitioner qualifications designed to provide the knowledge and skills to be able to analyse and redesign their processes to remain competitive, avoid unnecessary waste and lead organisational change. GBS has consulted with clients across all industries to focus upon all types of process and performance challenges using a breadth of effective tools and techniques. The GBS PT204 – Managing Change and Continual Improvement training course has been designed to equip managers, team leaders and improvement leads with the practical skills, tools, and structured techniques to manage change in the context of process management and improvement. Delegates will learn different improvement methodologies, tools and techniques commonly used in process improvement and how to develop a structured change management methodology to ensure robust management of continual improvement. The course equips delegates with the skills to help their teams through the Change Curve as effectively as possible. This 3 day course is highly interactive enabling attendees to immediately apply what they have learnt across different business scenarios. Completion of two Practitioner level courses, together with demonstrable work experience, can lead to the gold standard Chartered Quality Professional (CQP) status, which is recognised alongside other roles with Chartered status. And also a series of Process Improvement courses. Our next PT204 – Managing Change and Continual Improvement course is being held in Fleet, on 19th - 21st February 2019. Book today to become the change leader you aspire to be.